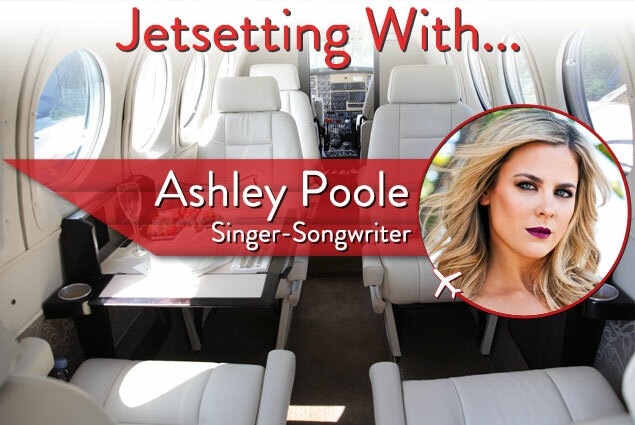 You might recognize singer-songwriter Ashley Poole as a member of the multi-platinum group Dream. After the members of the group went their separate ways, Ashley continued to grow into her new sound and began her journey as a songwriter. 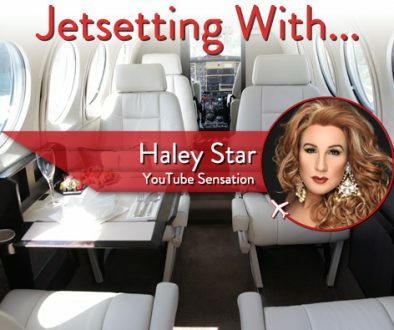 She is now storming the music industry as a solo artist with her new single “If It Feels Right.” Read on to find out how music plays a part in Ashley’s travel plans and where she hopes to visit next. A: All of the above. I live to travel, meet new people, and explore other cultures. I love hotels, airplanes, tour buses, taxis, and boats. I live out of my suitcase, and that’s fine by me. Q: What types of activities do you like to do on your travels? Do you look for a place where it’s quiet and you can relax or someplace that has great activities or nightlife? A: I am an activities and nightlife girl. I just got back from New York from the MTV Video Music Award weekend, and I swear I didn’t sleep more than four hours a night. I love to find new restaurants and clubs and vibe out when I’m in big cities, but when its more tropical I tend to do all the crazy stuff, such as parasailing, horseback riding, zip lining, and rock climbing. I’m a good time wherever I go. A: Oh geez, lots of things inspire me to travel: a commercial, someone else’s story, or even a dream. I research like crazy because I’m a deal finder. I just spend a day to research hotels, airfare, and attractions and also look at what other people are saying about it. Airbnb is good for that. A: Honestly, this last weekend. It was four days in NYC, and I’m still recovering from the city that never sleeps. We were promoting my new single “If It Feels Right,” and people were going nuts-o for my record. We went to every party, club, and red carpet event possible and people ate me up. I was loving it. I love NYC! A: I have two. The first was a red velvet cake from Diddy’s [former] restaurant Justin’s (actually the cake I ate belonged to Diddy, but luckily he thought it was funny). Second, I would have to say street tacos in Sayulita, Mexico. They have the best street tacos. My family and I literally shut down the taco cart; they had no more. A: My iPhone and headset (I need music at all times), sunglasses, lip-gloss, and a hoodie. I keep it simple. A: Get the window seat. Sleep on the plane so you can play when you land. A: Vegas and Blythe, California (my hometown). A: My new single “If It Feels Right” is on iTunes, Google Play, and Amazon (among others) now and will be coming to a radio station near you—so call in and request my song! I’m so excited about this chapter in my life. The world is ready for me, and I am ready for them! Ashley Poole is a former member of the multi-platinum group Dream and is taking the music industry by storm with her new single “If It Feels Right.” The all-American girl rooted from the small desert town of Blythe, California, can’t seem to stay away from her passion for pop music. Ashley began her professional music career at the age of 12 with the Bad Boy/Arista Records recording group, Dream. The group went gold with the hit single “He Loves U Not,” which led the group to the No. 2 position on Billboard and drove Dream’s international popularity to an all-time high. Ashley went on to help co-write “I Am Not Perfect” from the “Dance Mom” soundtrack and was featured in “King of My Life” from top-selling European group Psy 4.